with an unbeatable view of Mykonos Town. For travelers who want to explore the vivid days and nights of Mykonos Town! Orpheas Rooms features recently renovated, stylish rooms in Mykonos Town, with an elegant pop decor combined with thoughtful design. Our rooms are equipped with shower and some of them feature sea-view balconies. Each room is air conditioned and has a flat-screen TV, cozy beds and spacious wardrobes. 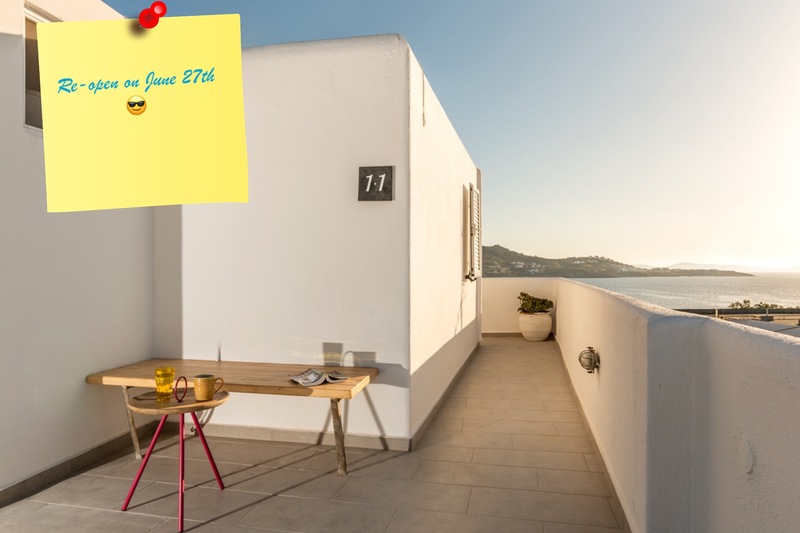 This free-spirited pop rooms complex, located in the heart of Mykonos Town, featuring a roof-top patio, attracts all kinds of travellers. 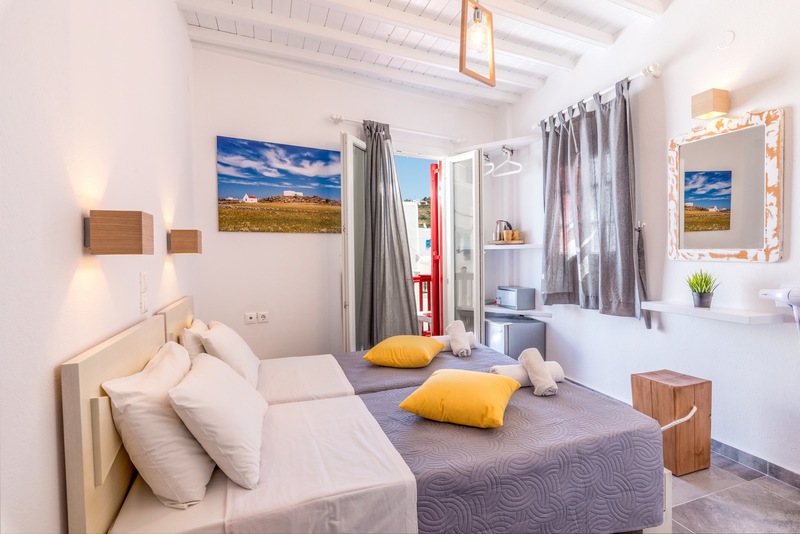 With a privileged location next to the centre of Mykonos Town, the recently refurbished Orpheas Rooms, is the ideal accommodation option, for your vacation. 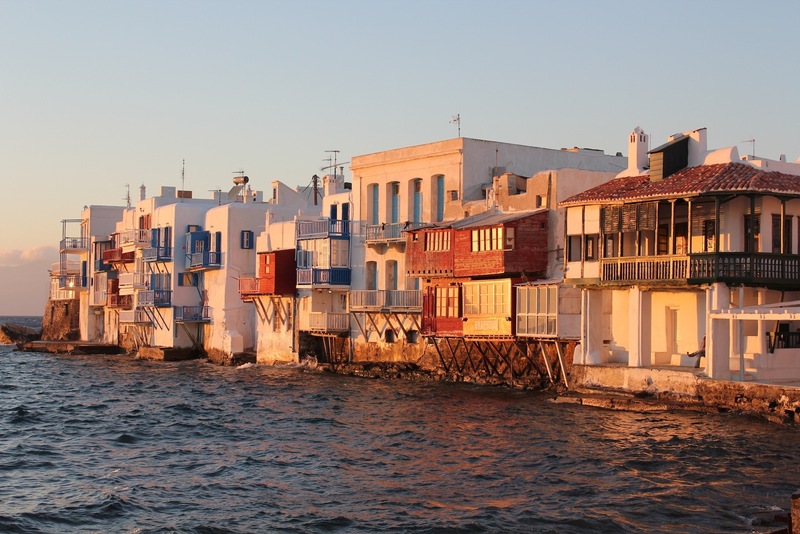 The vibrant Little Venice area of Mykonos Town, only steps away from Orpheas Rooms, is a longtime spirited gathering spot for progressive, socially minded types; coffeehouses, bars, restaurants, and upscale retail shops abound. Here you can kick back and enjoy cocktails with a view. 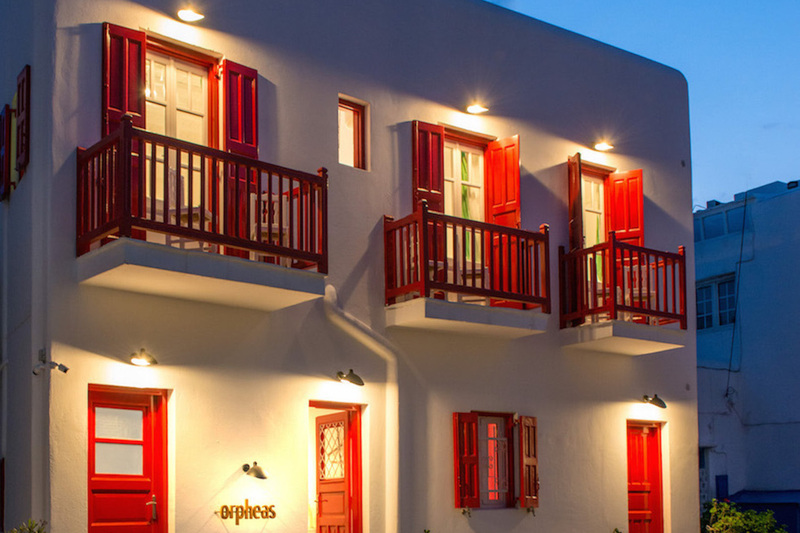 Close enough the action, Orpheas Rooms is a hidden gem, providing hip accommodation, in the heart of Mykonos Town. Reception operates on a daily basis from 9 am 'till 9pm.